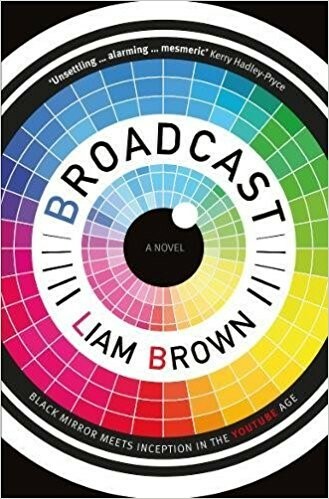 A lethargic opening should not deter the reader, as there is much to relish in Liam Brown’s cyberpunk novel, Broadcast. It is a title that hints at the hyperreal and is evocative of the movie Inception. What is real? Unreal? A giant bubble suspended a few hundred feet above the courtyard, supported by a complicated arrangement of stainless steel beams and high-tensile wires. A teardrop caught in a spider’s web. Digital dynamite, David, is trending large on social media but remains unremarkable in the everyday. He craves recognition. Enter Xan, a moneyed enthusiast with a brain. What do you get when you wed a social media magnet and a techno-nerd with an idea? MindCast: an implanted thought reader that broadcasts feeds from the human brain to the screen. Xan needs a cyber whisperer, David needs fame. With a new M900 microchip implant in David’s head, Xan and David each get what they want. Or do they? With a suspense-laden plot, swift-paced and thriller-hued, Broadcast is a futuristic story that is slow in its focus on worldbuilding and scene-setting in Part 1. The story catapults the reader’s captivation in Part 2 where the narrator’s point-of-view shifts to first person present tense, propelling immediacy. Swiftly from being an outsider, observing, the reader is inside David’s head: Blink. I’m awake. No longer is the narration describing people or telling events in third person; it becomes visual—right inside the protagonist’s gaze. David emerges from surgery to find he has gone viral. Suddenly there are stories within a story. Everybody knows him, everyone wants a piece of him: Over here, Dave. Looking good, Dave. Snapaparazzi with their cameras and recordings. Fans outside his apartment crowding the door, tearing at his clothes, reaching to touch him. Over here, Dave. Looking good, Dave. The whole world knows him. But at what cost? The reader must keep abreast with the pace at which David’s life is changing. There is climbing curiosity, as the change is staggering for David, whose mundane life is morphing into a nightmare. It is a hellish dream sequence that the reader is part of, right inside David’s head, which makes the book effective from here in its engagement quotient. Now the drama has become a thriller, and the reader is immersed in its core. Despite the suspense, the story is not as robust or memorable. It begs a stronger moulding of primary and secondary characters, from protagonist David right through to significant players like his once-manager, Sarah, his biographer, Alice, and sensual Katya of the elusive technology company headquarters. The story could also do with tightening: much narration and scene setting in parts make the opening and middle bits sluggish. Talking in riddles. Thinking in riddles. Towards the end, neither David nor the reader are sure of anything. But one thing is clear: his life with all its fame is fucked. Or is it?